Shazam! Now You Look Like A Better Borrower : The Two-Way The company that controls the FICO credit score says it is changing the way the scores are calculated, making it easier for millions of borrowers to look better on paper. Fair Isaac Corp. says its FICO credit-score calculations will no longer include information about bills that have been paid off or settled with a collection agency. Credit scores can have a huge impact on your life, largely determining your ability to get a home mortgage, a car loan or credit cards. Soon, tens of millions of Americans will find their three-digit credit scores levitating upward — and without having to pay any new bills. It's a simple trick: Fair Isaac Corp. said Thursday that it is changing its widely used FICO credit-score calculations. The company plans to lighten up on consumers, making it easier for millions of borrowers to look better on paper. Experts say this will be good for the economy, affecting everything from homebuying to back-to-school shopping. The changes taking effect shortly "will increase the credit scores of many, some substantially. For those consumers, credit will be easier to obtain," Judith Fox, director of the Notre Dame Law School Economic Justice Clinic, said in a written assessment. Fair Isaac is a San Jose, Calif.-based company that compiles mountains of data to create a sort of report card for borrowers. The FICO credit scores are used by banks, credit card issuers, mortgage brokers, auto lenders, insurers, merchants and health care providers to predict whether you will pay bills on time over the coming two years. The score typically ranges between 300 and 800. 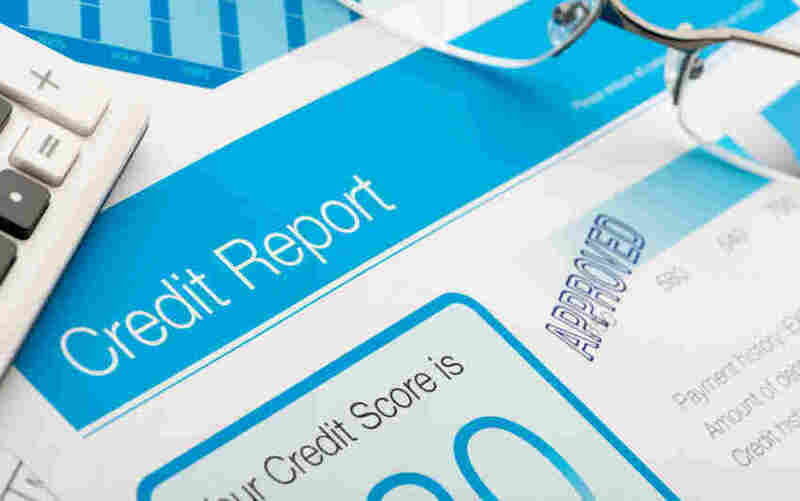 The Federal Trade Commission says that "a higher credit score is taken to mean you are less of a risk, which, in turn, means you are more likely to get credit or insurance — or pay less for it." Consumer advocates have long complained that the FICO scoring was too harsh: One's creditworthiness should not be wrecked by one inflamed appendix. Now, Fair Isaac says that going forward, its calculations will stop including information about any bill that has been paid off or settled with a collection agency. Also, scoring calculations will give less weight to unpaid medical bills that are with a collection agency. "This will help ensure that medical collections have a lower impact on the score, commensurate with the credit risk they represent," the company said in its announcement. The federal Consumer Financial Protection Bureau has been pushing lenders to find ways to get more loans to consumers. Since the Great Recession hit, lenders have been tightfisted with anyone except borrowers with the very highest scores. But in the wake of that terrible recession, many people now have credit records showing that they fell behind on some bills at some point. In fact, a study released recently by the Urban Institute, a research group, showed that 77 million adults have a credit file with at least one debt in the collection process. Other studies found that about half of all debt-collection activity in credit reports comes from medical bills, some of which can be as small as $25. And even these minor bills can have an unreasonably big impact on credit scores. "Sometimes insurance companies do not cover the entire cost of medical procedures, but consumers may not realize they owe money until they are contacted by a debt collector. Even if they pay it off, their credit scores could take a hit," according to a CFPB report. Borrowers with credit scores above 760 typically get the cheapest mortgage rates, which can save them many thousands of dollars over the life of a 30-year loan. Supporters of the tougher standards have been arguing that FICO helped weed out the bad borrowers who contributed to the housing boom-and-bust cycle of the past decade. But Nessa Feddis, senior vice president for consumer protection at the American Bankers Association, said lenders believe the new standards will have a positive impact on the economy. "These changes expand banks' ability to make loans to people who might not have qualified, and to offer a lower price for others," Feddis said.